Exciting two-year-old filly BUCKETS OF PRIDE will be looking to build on her slashing debut performance when she lines up in Saturday’s QTIS Two-Years-Old Handicap (1110m) at Doomben. The Tycoon Ruler filly was a fast-finishing second on debut at Doomben a fortnight ago when charging home down the outside after settling in last position. BUCKETS OF PRIDE will take on the highly rated GUNTANTES, who was an impressive winner of the the 2yo colts and geldings race at Doomben on the same day. She is one of several Munce Racing runners taking their place at the Doomben meeting tomorrow after a week of abandoned race meetings throughout south east Queensland. 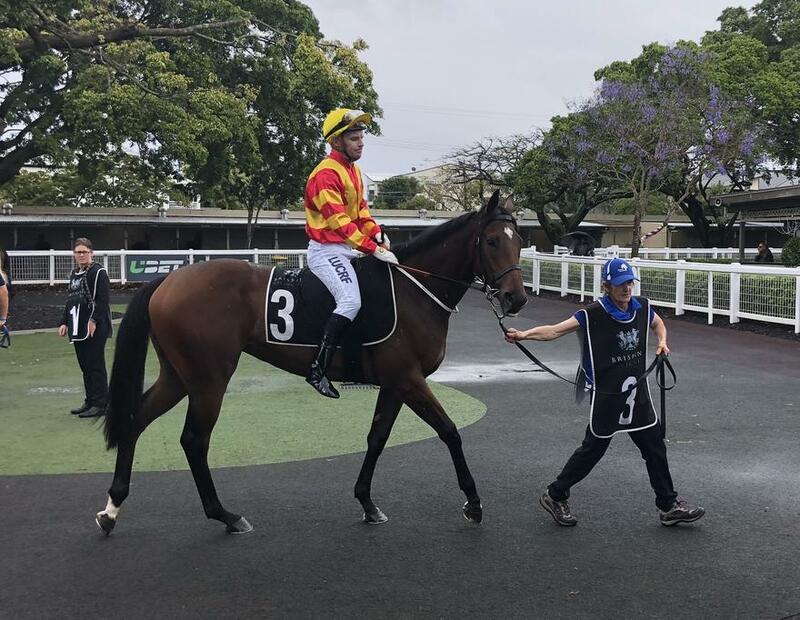 Speedy three-year-old gelding RACECOURSE ROAD faces his third-up assignment in the QTIS Three-year-old Handicap (1200m) , while SKY LAKE steps up to the mile in the Class 3 Plate (1600m). TRAINER COMMENTS: "The likelihood of a wet track certainly helps her chances. She obviously had a tough run first-up and there's not a lot of her but I'm happy enough with her going into this second-up run. She's certainly switched on a bit and has become a lot more alert so hopefully with a bit of natural improvement she can race a bit more prominently from the wide draw. If she hits the line like she did first-up, we know she's going to be a major player in the race so fingers crossed she can hold her form and race well for us." TRAINER COMMENTS: "At this stage, I'm still keen to roll the dice at Doomben on Saturday. Even though she's drawn atrociously in barrier 23, she will come into start from barrier 15. I just feel the mare is going really well and had no luck last start being ridden as far back as she was. Hopefully she can roll forward and be in the first 3 or 4 and if she's good enough, she's fit enough to win the race for us. I know it's a big ask but with the heavy track, the barrier isn't as bad as it would normally be, and I think while she's going this well, we should give her the opportunity to win a Metropolitan race." TRAINER COMMENTS: "I'm leaning towards running him at Doomben as he drew out wide at the Gold Coast. Although we're in a harder race on Saturday, I think the blinkers will improve him. We're not sure if he can handle the heavy track, he did win his maiden on a soft track and he's bred to get through it so I'm putting faith in the horse and his ability to be able to handle it. The horse is a lot better going into this race than he was second-up and he's had a good break between runs which I think is a positive for him so I expect him to be one of the major players there."